The All Things Go Fall Classic music festival will take over Union Market Oct. 6 to 8 with 22 bands and musicians, food and fun. Acts including Galantis, The Knocks, Young Thug, Cashmere Cat, Vince Staples, Foster the People and Bleachers will be on stage for the three-day festival. Organizers promise more than just music, though. Previous iterations of All Things Go Fall Classic featured 360 degree photo booths, virtual reality demos and spray paint walls. And some of D.C.’s most popular home-grown classics like Sweetgreen, &pizza, Ivy & Coney and Maketto will offer food. The festival has evolved since it debuted in D.C. in 2015. Last year, All Things Go Classic treated attendees to a one-day marathon of artists including Passion Pit and Empire of the Sun. This year, it has grown into an event that spans the entire weekend. It also changed venues this year, leaving Yards Park in favor of Union Market. Single-day tickets will set you back $69, and a three-day pass costs $169. Organizers say prices will go up closer to the event. 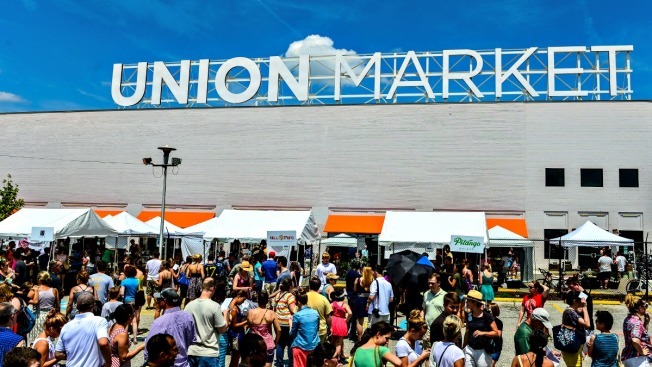 Union Market is located at 1309 5th Street Northwest near the Noma-Gallaudet Metro station. Check out the full line up and get more details on the All Things Go Fall Classic website.